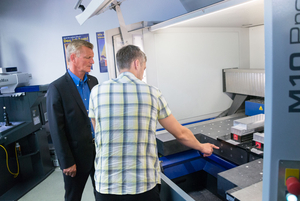 40 years of machine engineering expertise from Mühltal-Traisa: On Wednesday, July 8th, DATRON AG (founded in 1969) started its week-long “DATRON 4(0).0” celebration. 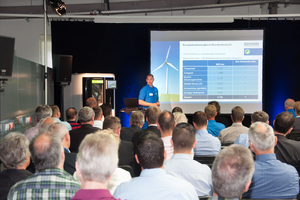 Until Friday, July 10th, customers and partners visited DATRON’s company to attend expert talks and celebrate. The event started mid-week with the company’s Dental CAD/CAM team: They gave their guests an opportunity to experience the entire DATRON dental technology segment. 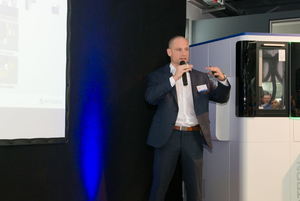 Most of the visitors were amazed by the high precision of DATRON’s dental milling machines: While the user interface is easily handled even by CAD/CAM starters, they are able to produce very complex geometries. 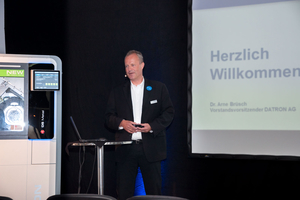 After the introduction, the guests could attend several expert talks, for example on the use of pre-colored, highly translucent Zirconium dioxide blanks that completely eliminate the need to dye restorations after milling. 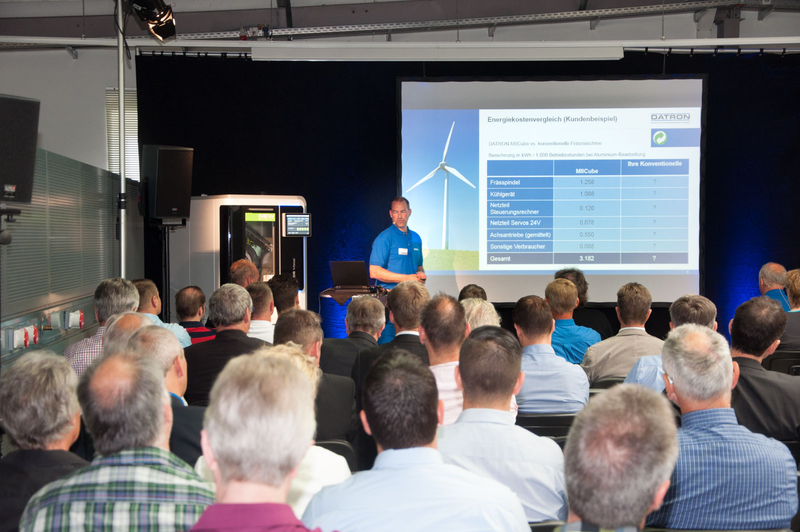 COMMMANDD, a joint project of DATRON AG and the Technical University Darmstadt, was another topic discussed. The research showed how dental restorations can be produced using a hybrid process. The proposed solution features laser-melting to produce a rough restoration, then precisely milling it where needed. 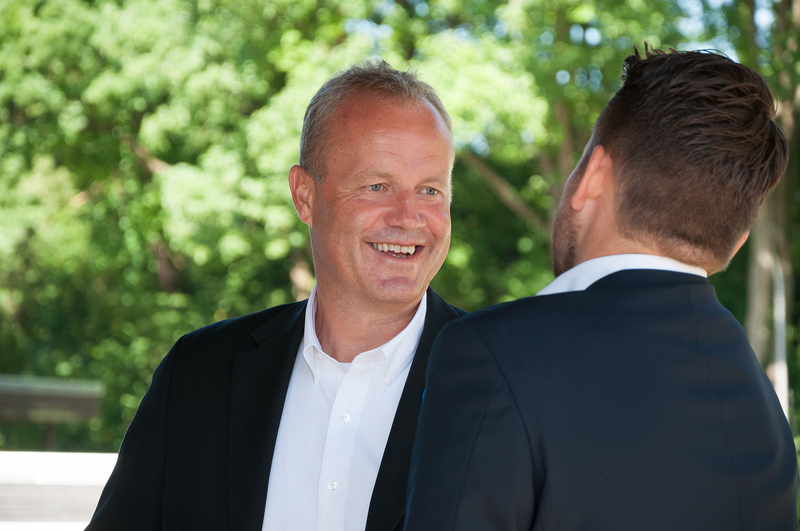 This way, only a minimal amount of material is used building the restoration, reducing material cost as well as production time – a benefit for both producers and customers of dental restorations. 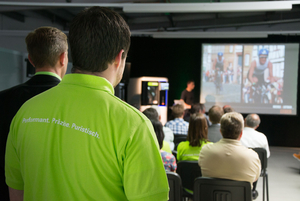 On Thursday DATRON’s CNC milling machine team and dispensing system department presented the newest DATRON milling and dispensing technologies to their guests and counseled them about individual production needs. Especially PerfectCut, a DATRON surface smoothing package for milling very complex geometries, which can be used with the current M8Cube, M10 Pro and MLCube machines, attracted the attention of many visitors. 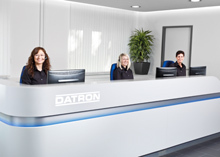 DATRON’s dispensing systems impressed the guests with their highly precise, resource-friendly work. 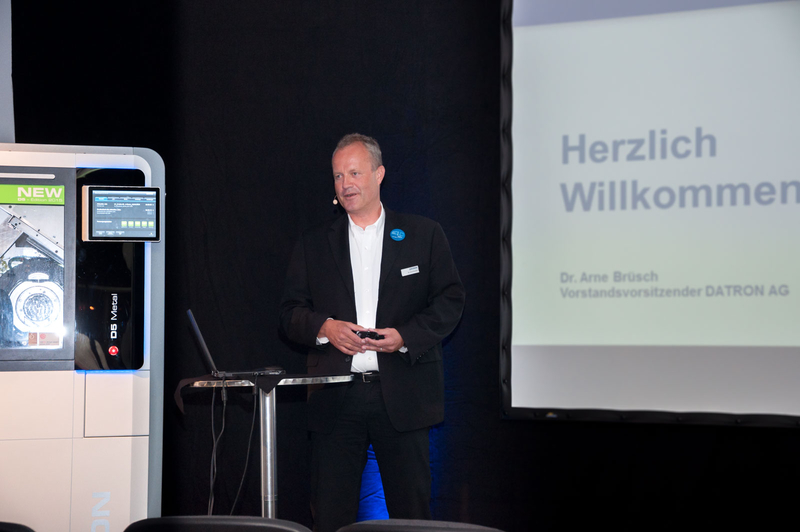 The event also featured several CNC expert speeches, for example on the multitude of different sorts of aluminium and their uses for various milling tasks or innovative clamping technology for work pieces and tools that increase productivity. Cloud-based CAM was an intensely discussed topic. In the future, these will allow for milling data to be used independent of individual machines and provide more processing power for modelling by combining several PCs. On July 10th, the “DATRON 4(0).0” festivities came to a close with an open house event for local partners and the staff’s annual summer party.